I just heard there is a petition out there to forgive student loans. I understand that the cost of tuition has gone up drastically in the past 20 years. I get that. However, I find this student loan forgiveness act somewhat offensive when I see the people that want these loans forgiven walking around with an iPhone and driving a new car. This really irritates me. I paid for my education with student loans. In fact, I didn't pay off my undergraduate student loan till I was in graduate school and I just finished paying my graduate student loans last year. I sacrificed. I didn't have a new car. In fact, my truck till last year (and now my husband drives) is a 1997 model with nearly 200,000 miles on it. I still don't have an iPhone because I can't afford the monthly costs. When I graduated college, I barely made more than minimum wage, yet managed to pay my monthly debt on time. I worked two and three jobs to pay off my debts. I never asked anyone to "forgive" my loan. Instead, I did without. This is just another example of the sense of entitlement that young people have today. 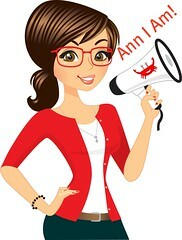 I'm with you, Ann! The rest of us worked hard to pay off our student loans and so can everyone else. I know the economy's bad, but that means you work harder and get that extra job on the weekend. And while I'm at it, everyone can buy their own birth control, too! I wonder..is there some sort of regulation on who can receive this loan forgiveness? I can see it in certain situations where the student is no longer able to work and is disabled. I do however agree that if you want to go to school and you are capable of working, you should, in most cases, not automatically get a forgiveness since there are many payment options that are reasonable and you can even get a forbearance.